Redbox may soon expand beyond the red boxes. Three years ago, in March 2013, Redbox launched its Netflix-killer in partnership with Verizon—but the service fell flat and closed up shop nineteen months later. Now, it appears Redbox is attempting an online comeback with a new service called Redbox Digital, according to Variety. This new platform reportedly won’t be a Netflix subscription service “targeted squarely at movie lovers.” Instead, Redbox Digital will go the more ho-hum route of digital rentals and purchases for online streaming and download. The store will offer a selection of both movies and TV shows. The company plans to integrate its service into its existing mobile apps, Variety says. 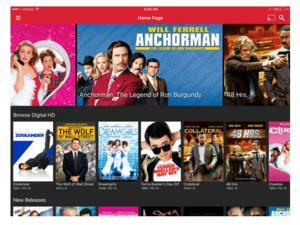 Currently, the Redbox mobile apps for Android and iOS allows you to find a Redbox kiosk near you and get driving directions to it, peruse the kiosk’s inventory, view movie trailers and news, and see what’s coming soon to Redbox. Redbox Instant was the company’s previous attempt at an online service. Beyond the mobile apps, Redbox’s points-based loyalty program will also be integrated with the new service. The company may also provide its service on the various television accessories such as set-top boxes and Chromecast devices. There's no word on whether Redbox will also roll out Smart TV apps or integrate with Android TV. The story behind the story: Redbox retreated from the digital space in 2014, but there was little doubt the company would have to return. In its most recent earnings report, Redbox reported a 24 percent drop in movie rentals year over year. As people move more of their entertainment dollars to online services like Netflix, Hulu, and Amazon that decline is likely to continue. If the rumors hold true, Redbox Digital stands a better chance of holding on to its current customer base through mobile app integration. But how far it can grow by taking in new users is a big question. It will have to overcome the built-in stores that exist on every mobile operating system—iTunes, Google Play, Windows Store—not to mention the existence of established third-party players such as Amazon and Vudu.